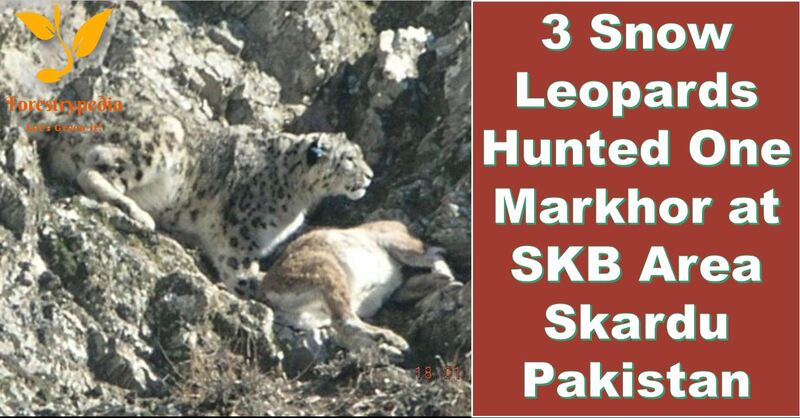 Snow leopards predated 1 male Markhor (about 36″ horn size) at SKB area Skardu opposite Baghicha, today on 23-1-2019. One Snowleopard is still at predation site after 32 hours of the event, while 2 left. Yesterday 3 snow leopards were together there. It depicts the conservation results and awareness on the importance of significant wildlife species among the peripheral communities.